The past week I've spent far too much money shopping, so I thought I'd show you guys what I purchased, starting with my first beauty haul. Most of these bits are things I needed, and as Im a student I pretty much only buy high street make up and beauty products. 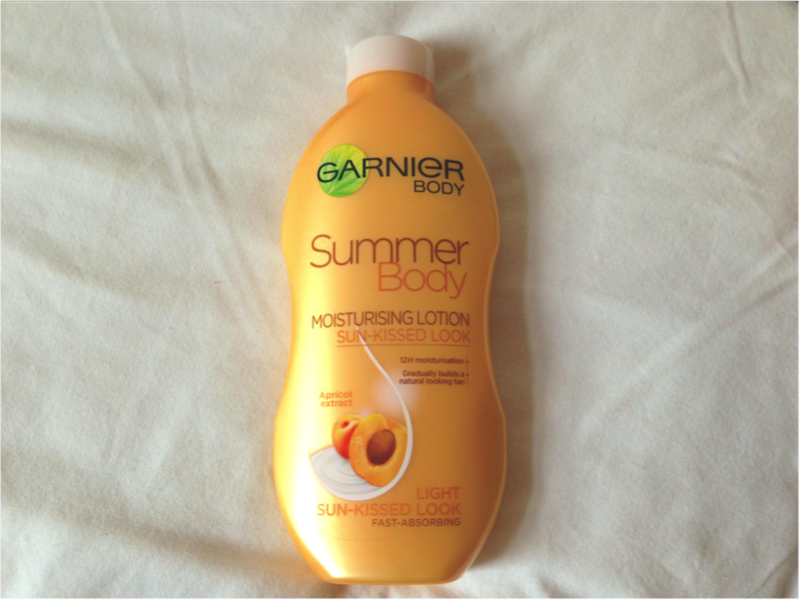 The first item I picked up was the Garnier Summer Body, gradual tanning lotion in light. With summer getting closer, and my legs looking paler than ever after half a yeah hidden in jeans and tights, I decided I better start preparing and adding a little bit of colour to my ghostly white body! I also managed to pick this up for half price at Boots. [Rimmel nail polish in; High Energy & Baby Bellini - £1 each. I mentioned in my previous post that I love changing my nail colour, and at £1 each I couldn't say no to these nail polishes. The MUA ones are from Superdrug and only £1, the Pistachio Ice Cream is my favourite for Spring, a lovely pale mint green colour. 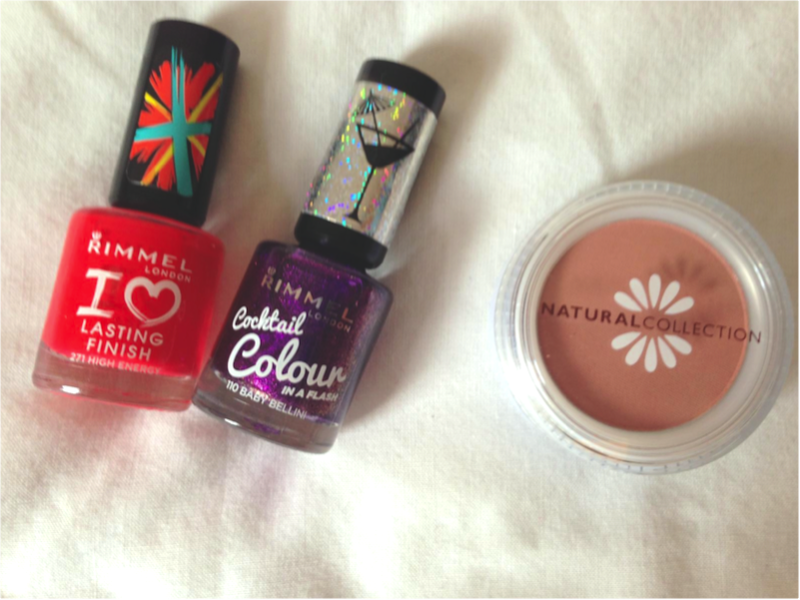 The two Rimmel polishes I picked up in Poundworld for £1 each, which I thought was a bargain! The Natural Collection blush is a replacement for a blush I've had for years that recently cracked. The colour is a lovely subtle peachy pink and I love it for everyday wear. These bits I picked up as I really did need them. After using a cheap eyebrow pencil I decided I needed a new slightly better one, and picked this Maybelline one, and I've found it really easy to work with and a great colour for my blonde eyebrows. The concealer I picked up as I wanted a under eye concealer that would be brightening, and I've heard some good things about this one, I've yet to decide whether I love it. The Stay Matte Primer was purchased because I've heard a lot of good things about it. I own the Benefit Porefessional, but as it's so expensive I wanted a cheaper primer to use for everyday. 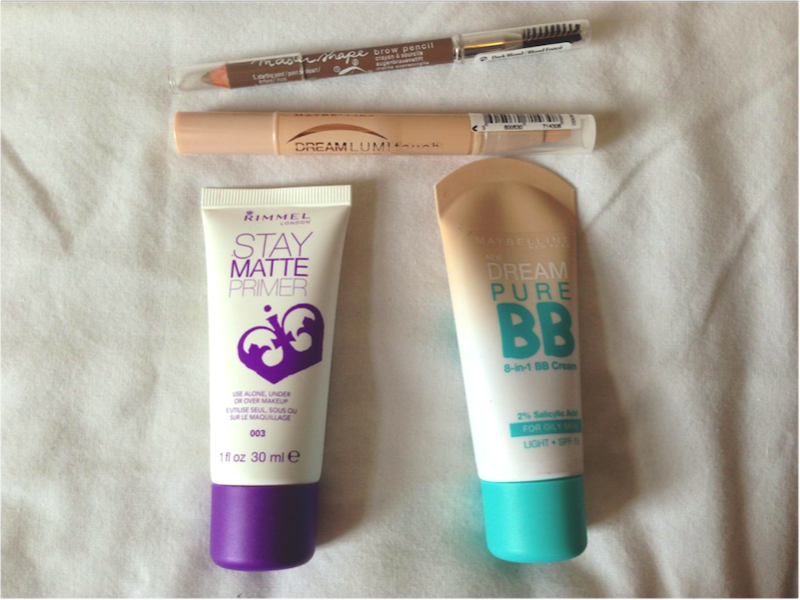 The Maybelline BB cream is a repurchase, I love this product and use it almost everyday. It's a perfect colour for me and goes on so easily, it's a light coverage which Is great for day to day wear and I find it stays quite well on my face. This buy was an impulse buy, but probably the best beauty related thing I've brought in a long time. 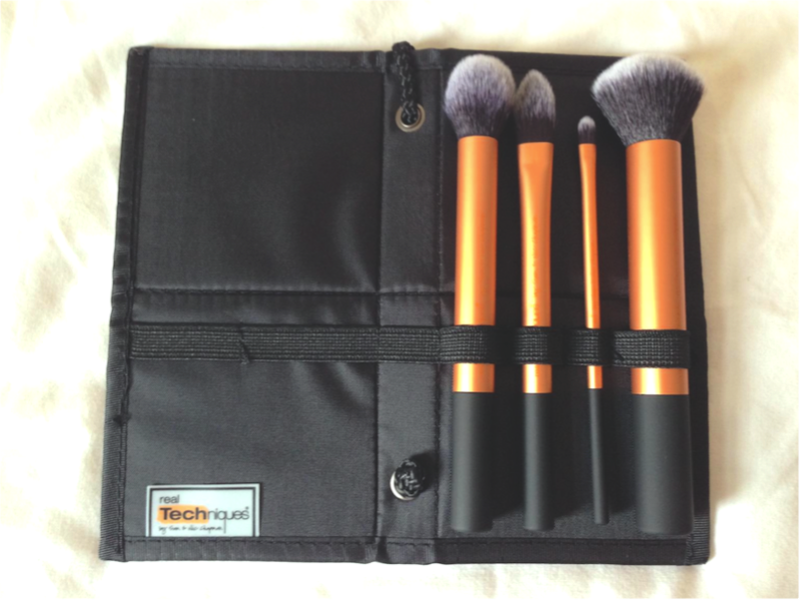 I managed to get these brushes for only £12 on the cohorted website when they normally retail for £21. Cohorted is a great website where you can get some great discounts on beauty items. The more people who buy an item the more discount is added, I'd definitely recommend checking it out! I've only used these brushes a few times but Im in love, they're so soft and my make up looks so nice and flawless after using them. I'm now eyeing up their other sets! Have you picked up any bargains recently? 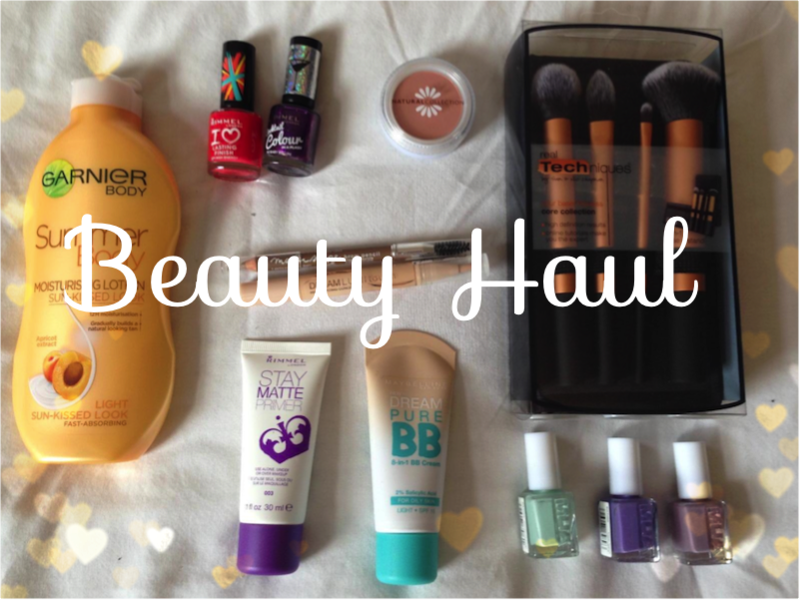 I hope you enjoyed reading my haul, I know I love having a nosey at what other people have been buying! Sounds good then, Im gonna have to start putting it on every few weeks. Im so pale so hopefully it will give me some colour! I definitely need to try the gradual tanner! I look like an ill ghost right now. And I love that mint MUA colour! Glad I introduced you to it, It's a great website for getting things cheaper. 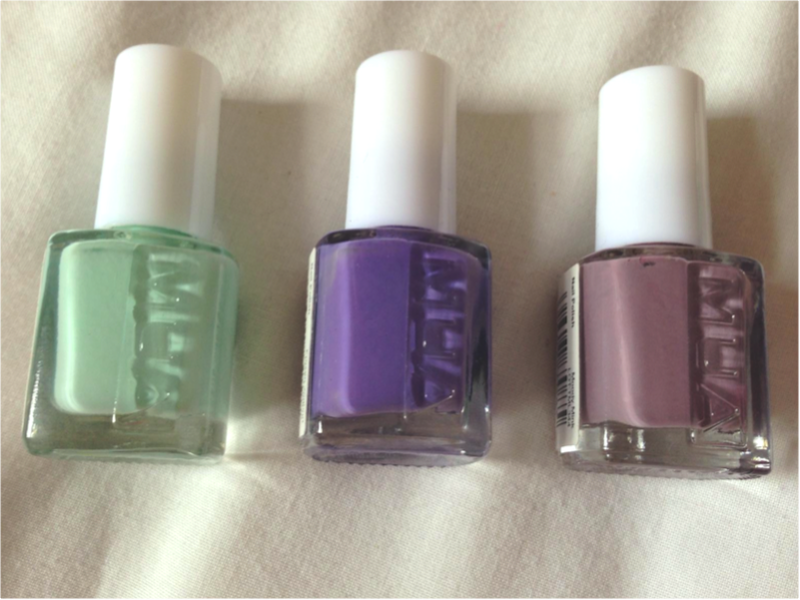 I've found the MUA polishes just as good as any of high street varnish I've tried, and for £1 you cant go wrong! They need a few coats, but with a base and top coat they last quite well.